 Freedom Network USA released their findings from an informal survey exploring the impact of increased immigration enforcement on trafficking victims. In collaboration with Coalition to Abolish Slavery and Trafficking (CAST) and Polaris, we surveyed 147 service providers in 39 states, the District of Columbia and, U.S. territories. Respondents were asked about a range of themes including changes in the number of referrals they have received, their clients willingness to engage with police and the courts, their willingness to seek legal and social services, and their relationship with local partners who also serve foreign-born survivors of human trafficking. Overall, service providers report a negative impact on victims due to the administration’s immigration policies. More information can be found in the Full Report.